Dance Kids Philippines Grand Finals begins tonight — Final Showdown will be held at the Newport Performing Arts Theater Live on February 6 and 7, 2016. ABS-CBN hit reality contest Dance Kids comes to its final episodes. The grand champion will be revealed at the end of the Live Grand Finale show on Sunday at the Resorts World Manila. Competing or the title are Hiphop duo Lucky Aces, dance sports duo Step Kids, and solo dancer Dhao Mac. 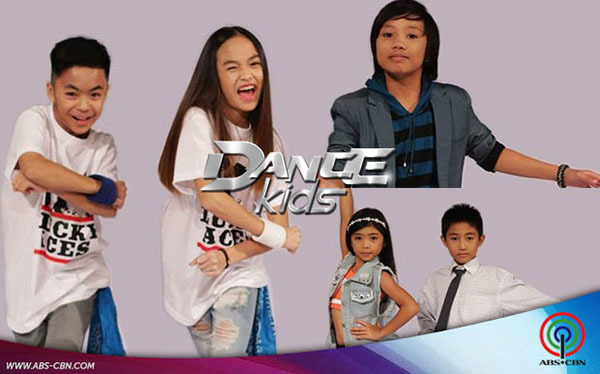 Who do you think will be the first Dance Kids Philippines winner? Write your prediction on the comment section below.